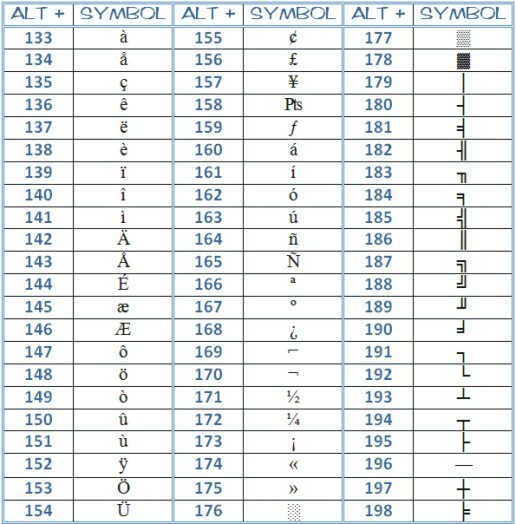 Learn what the different ASCII Code is for inserting Microsoft Word symbols and special characters into your document. 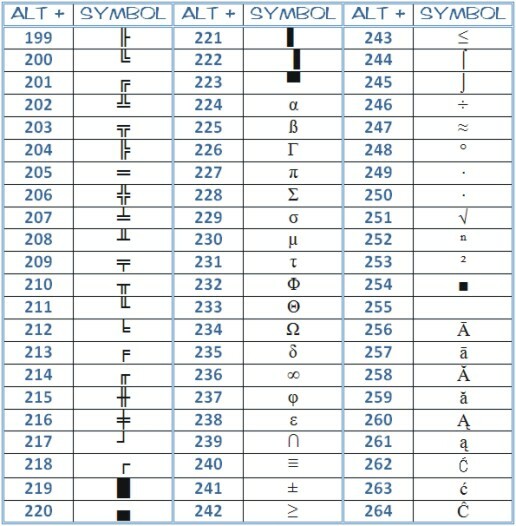 Insert into a document, for example, the copyright symbol. 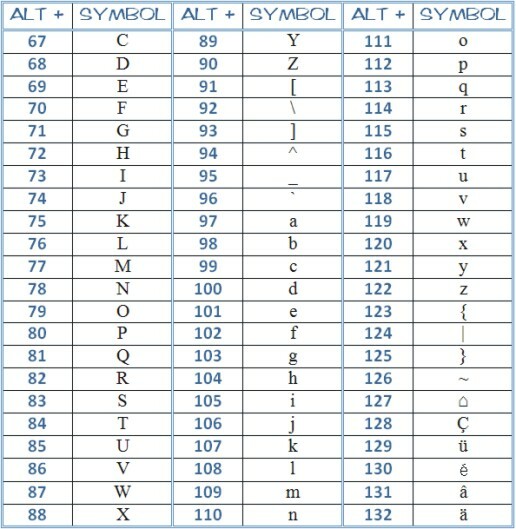 Another alternative to inserting symbols is to use the combination of the ALT key with the numbers on the Numeric keypad. 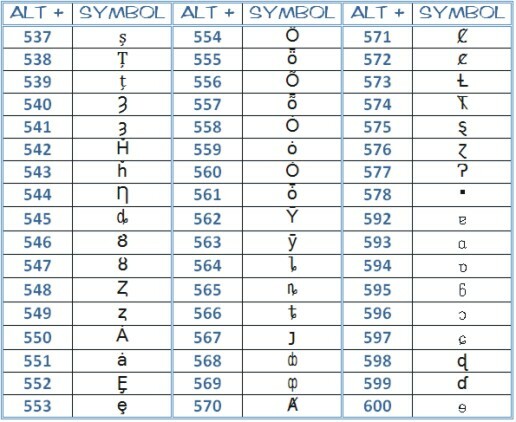 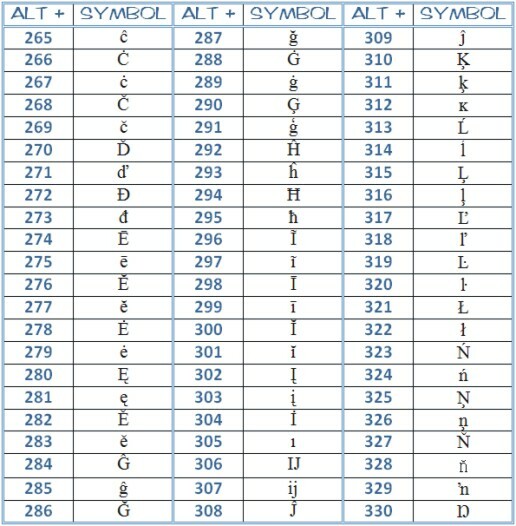 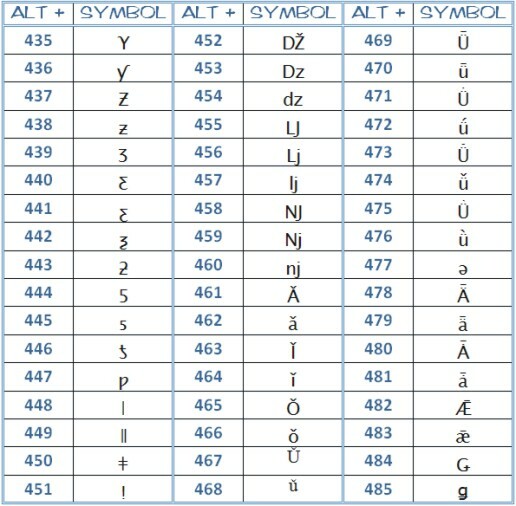 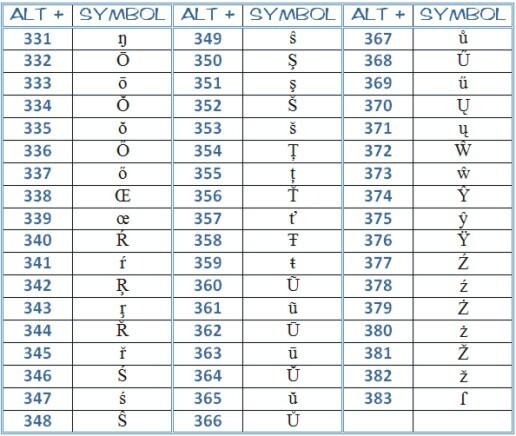 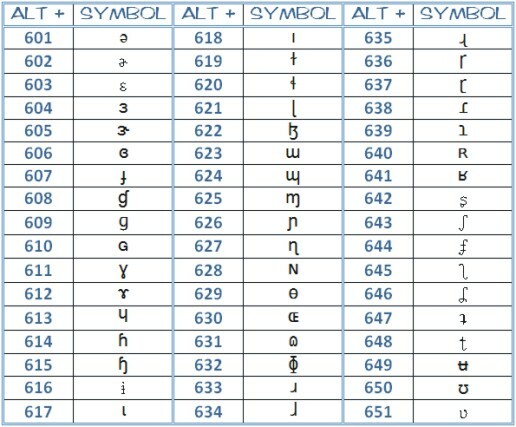 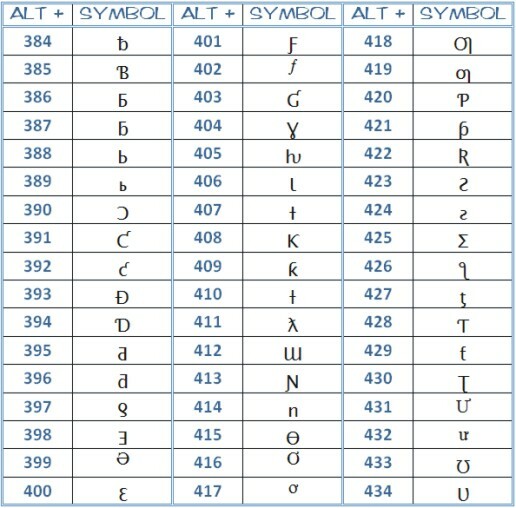 The following table gives a very-close-to-complete list of the ASCII codes that you can use. 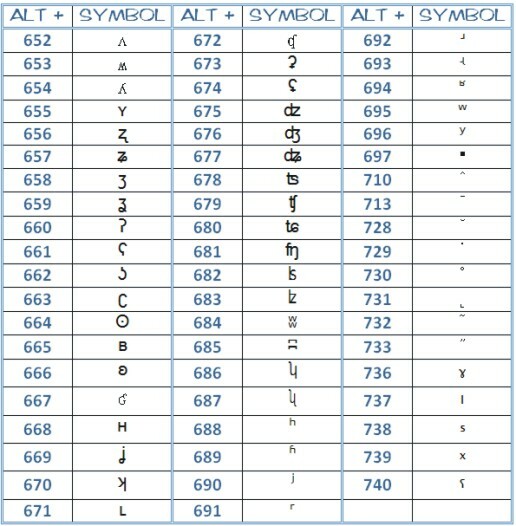 Be warned though, the font in which you are typing, may influence the symbols' outcome. 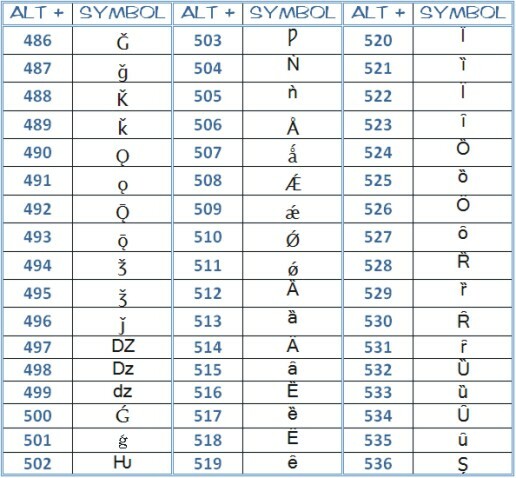 The following list was done in Microsoft Word 2007 using "Times New Roman" as the basis font. 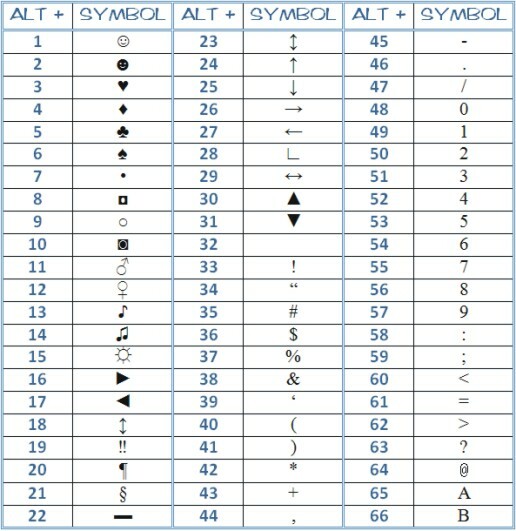 Have fun with these Microsoft Word symbols lists!